Aamir is a man-on-the-run thriller revolving around the eponymous London-based doctor's visit to his family in India. 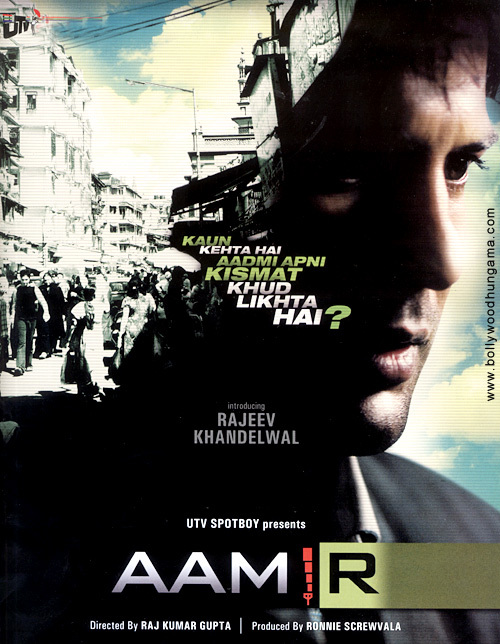 Geographically, Aamir's maze is set in the Muslim dominated streets and residential pockets of Old Bombay. In its lanes and crowded alleys, cheap restaurants and lodges, amongst nameless pimps and whores, run-down buildings and packed markets, Aamir is made to confront the life he has lived, the 'choices' he has made, his dreams, his loves and his immediate fears. Through the course of a day, lost in the streets of Mumbai, the question remains - do you choose your destiny, or does destiny choose you?